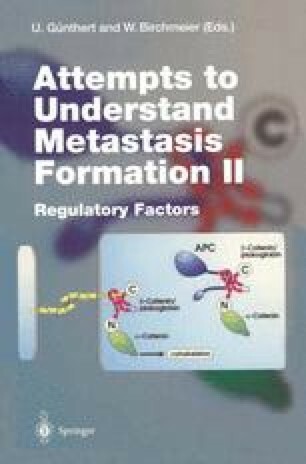 A central theme in metastasis research is the complex interplay between the tumor cell and its environment. Tumor cells reversibly adhere to each other and to the extracellular matrix (ECM), degrade ECM, move toward soluble and ECM-derived signals, arrest in host capillaries (sometimes in an organ-specific manner), colonize in response to host cytokines, and activate host angiogenic responses. A central hypothesis in metastasis research proposes that some of these phenotypic changes are mediated, at least in part, by increased or decreased tumor cell expression levels of specific genes.